What is Glass Fusing? 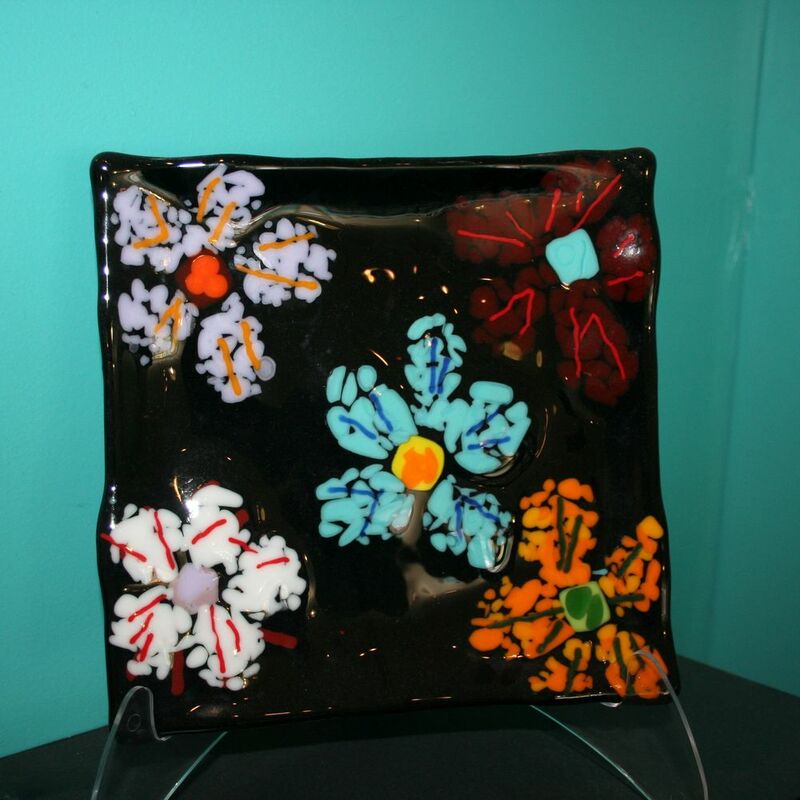 Glass fusing involves arranging and layering glass pieces in order to create a piece to be fired in our kiln. 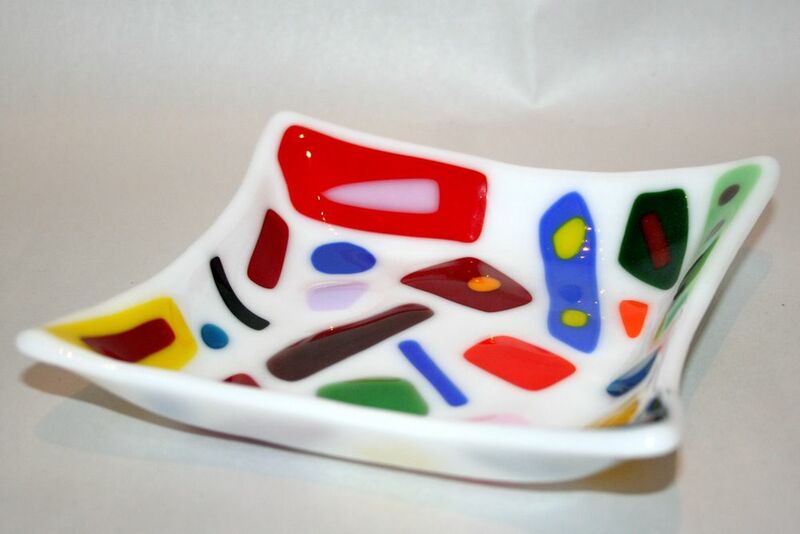 Fused glass is beautiful to behold. It's also surprisingly easy! If you're worried that you're "not an artist" then this is for you! 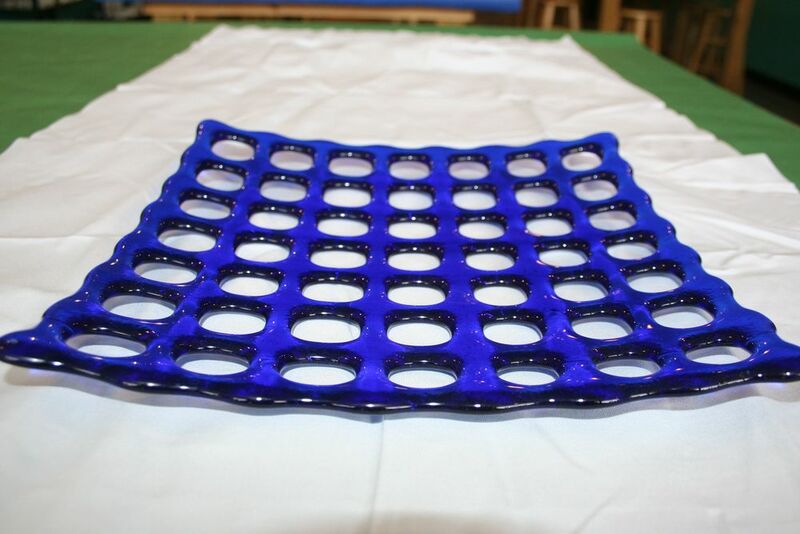 ~Step 1: Select Glass~ Select a pre-cut glass from our selection of glass items and shapes. 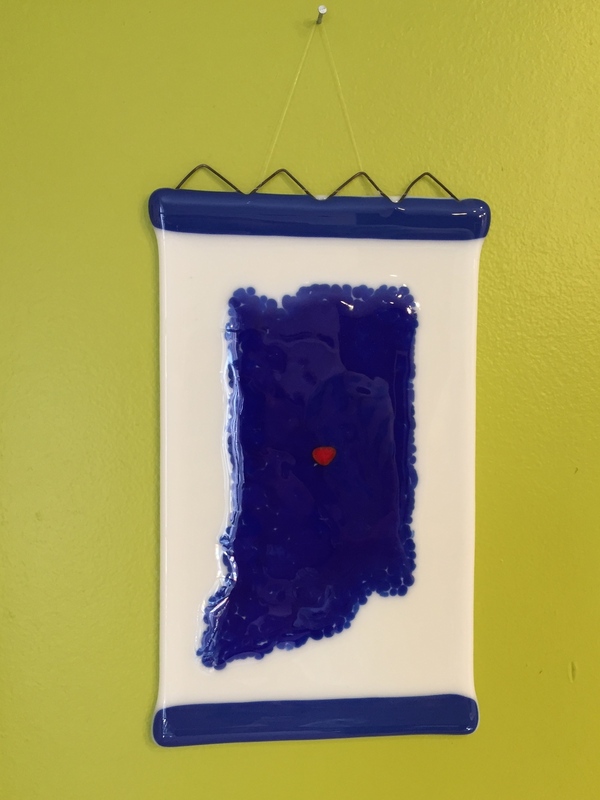 Projects include jewelry, magnets, keychains, plates, and bowls. ~Step 2: Create your design~ Create a unique design with your glass pieces. 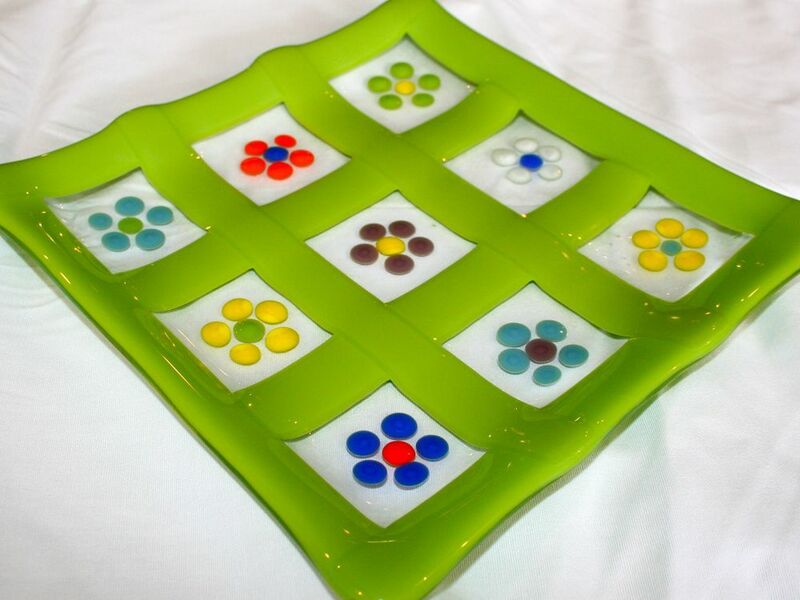 Layer up to 3 layers of colored or clear glass to create interesting shapes or patterns. ~Step 3: Glue~ Glue your design down so it doesn't shift on the way to the kiln. ~Step 4: Leave it to us!~ We fuse your pieces together. 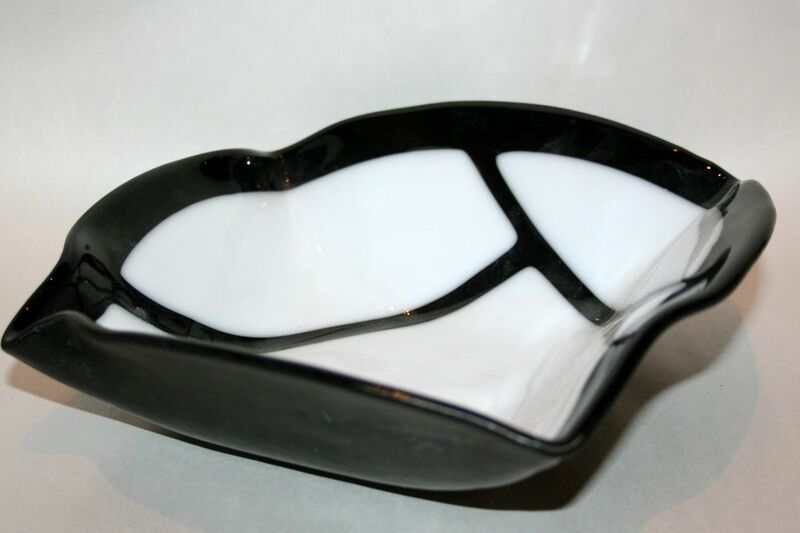 You can create a piece that is flat and can be used as a decorative piece of art, or you can have your piece fired a second time to take on the shape of one of our molds and create a functional piece of art. 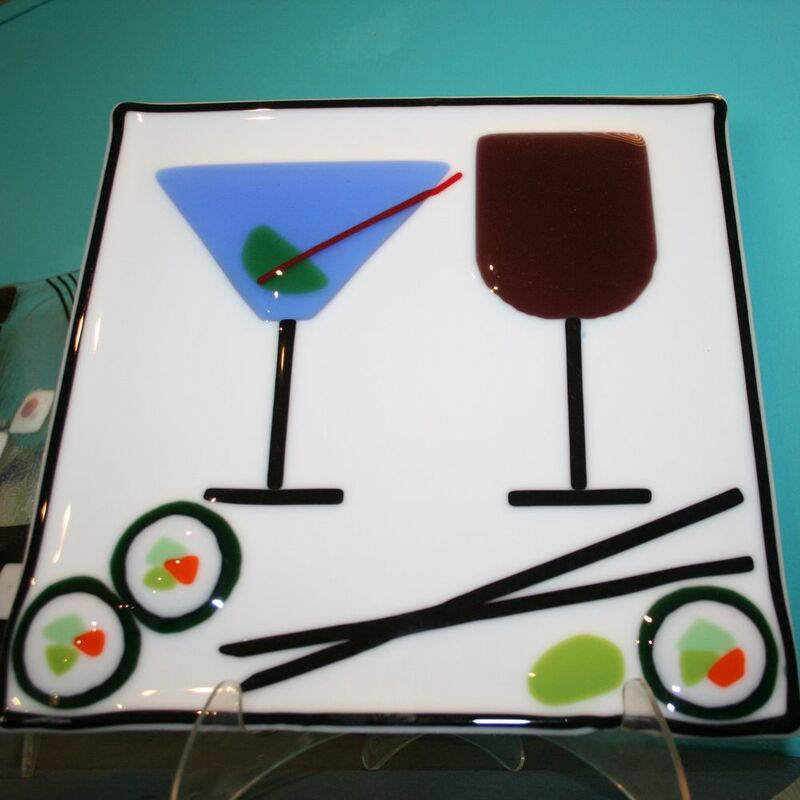 Glass Fusing usually takes 2-3 weeks to be ready for pick up. We will call you when your piece is ready. 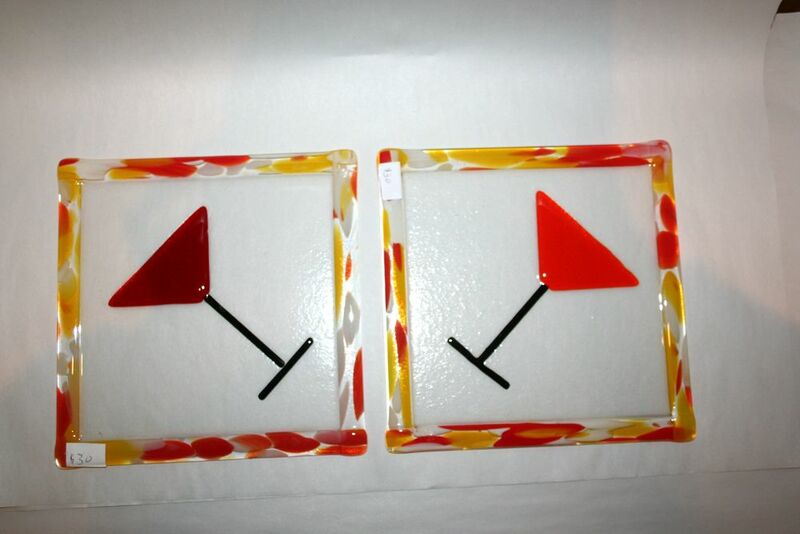 There is no age requirement for Glass Fusing; however, we ask that children have active, dedicated, parental involvement. Projects start at $19.63 and increase varying on size.